With a background in French and Francophone Studies, Dr Gilbert’s research interests lie primarily in postcolonial African cultures and literatures. 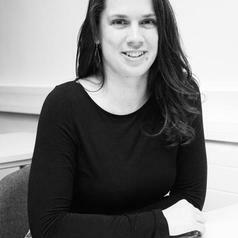 Her PhD (University of Nottingham, 2013) focused on Rwandan women’s responses to trauma during the 1994 genocide. From a perspective of trauma theory, her thesis engaged with the published testimonies of Rwandan women genocide survivors, seeking to understand how the genocide is remembered both individually and collectively and the challenges Rwandan women face in the on-going process of surviving trauma. Dr Gilbert recently completed a one-year Postdoctoral Research Fellowship at the University of Nottingham as part of the AHRC-funded interdisciplinary project ‘Building Images: Exploring 21st Century Sino-African dynamics through cultural exchange and translation’, which examined patterns of translation import/export and China’s increasing cultural presence on the African continent. Her next major research project will analyse China’s official cultural institutions (Chinese Cultural Centres and Confucius Institutes) and the ways in which images of China are being culturally mediated or ‘translated’ for local African audiences through these institutions.